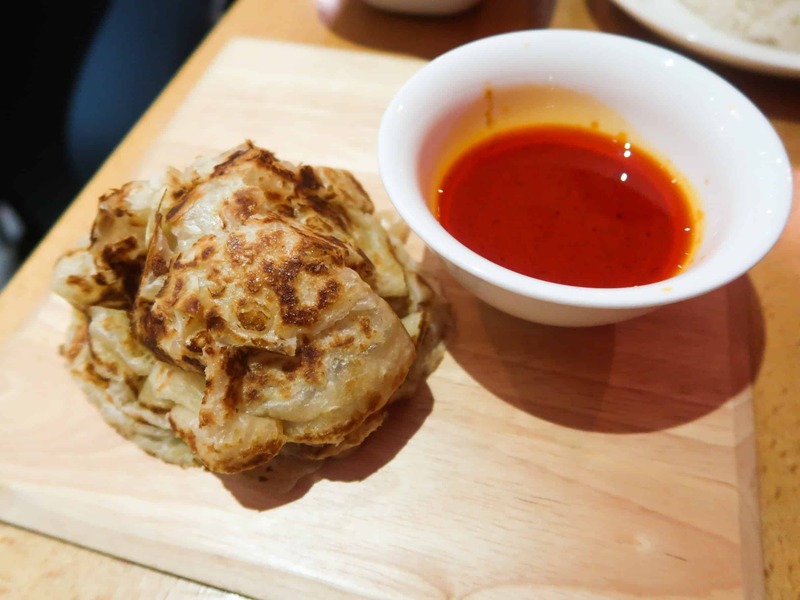 Rasa Sayang pride on being known as the only halal restaurant in Chinatown. I’m not sure how true that is with Nusa Dua and Good Friend Chicken around the corner, but any halal option is Chinatown is good for me! 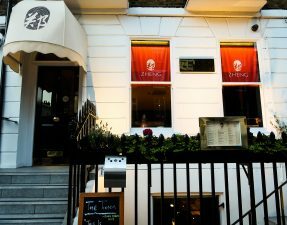 They serve classic dishes from both Malaysia and Singapore, and it was great to see how busy the restaurant was on a normal Wednesday evening. After much deliberation on my behalf and several last-minute changes, which always drives BW absolutely crazy, we finally managed to order and the food arrived shortly after. Flaky, buttery roti (like a paratha) served with curry on the side. The curry was aromatic and perfect for dunking the roti into, but I found them both to be quite claggy and oily. This was the last-minute order – oops. 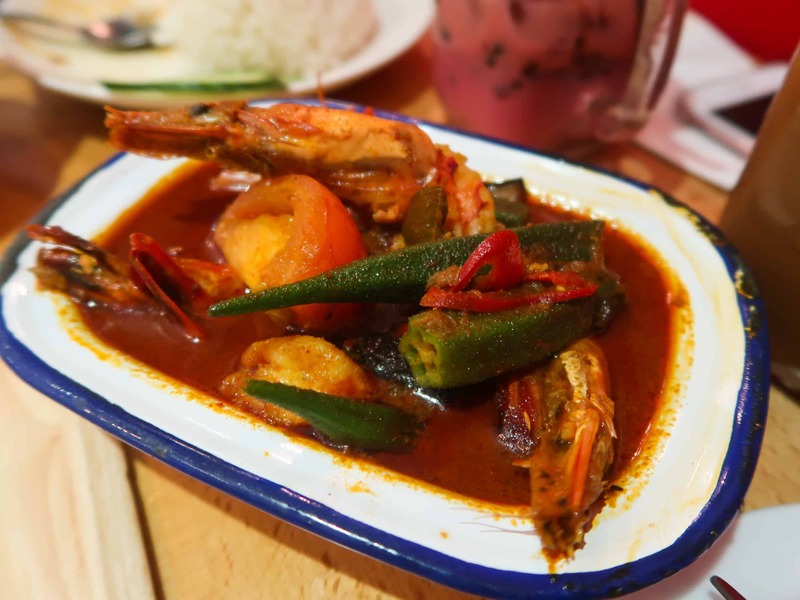 A spicy, warming curry filled with vegetables and large tiger prawns. I would have liked the curry to have a thicker consistency but the spices were spot on and the tang aftertaste was great. 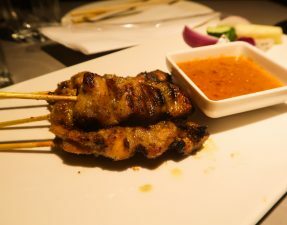 Juicy little chunks of chicken that were skewered and lightly chargrilled to get a nice smokiness. 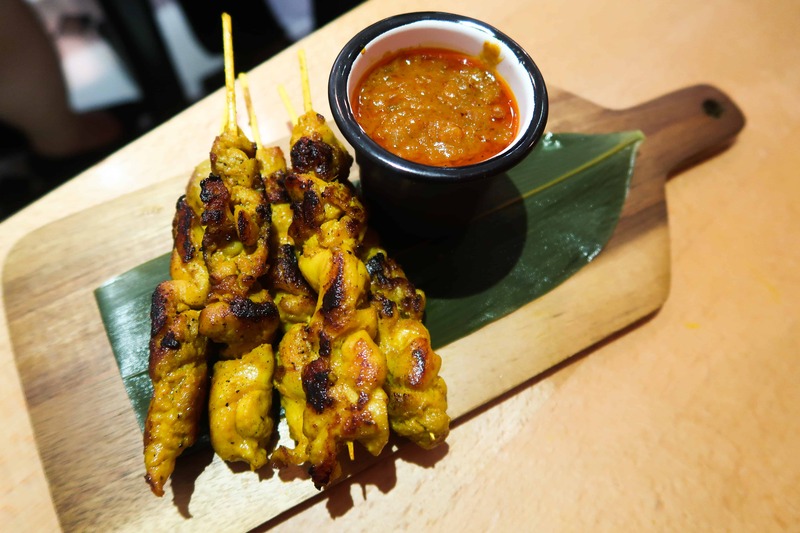 The flavour of the marinade was light but was enhanced with the spicy and creamy peanut sauce. BW decide to opt for the special deal of 3 courses for £15.90, probably to try balance out my outrageous ways. Usually for set menus, you can expect tiny menus, but considering Rasa Sayang’s version, I would say that their offer was definitely good value for money. 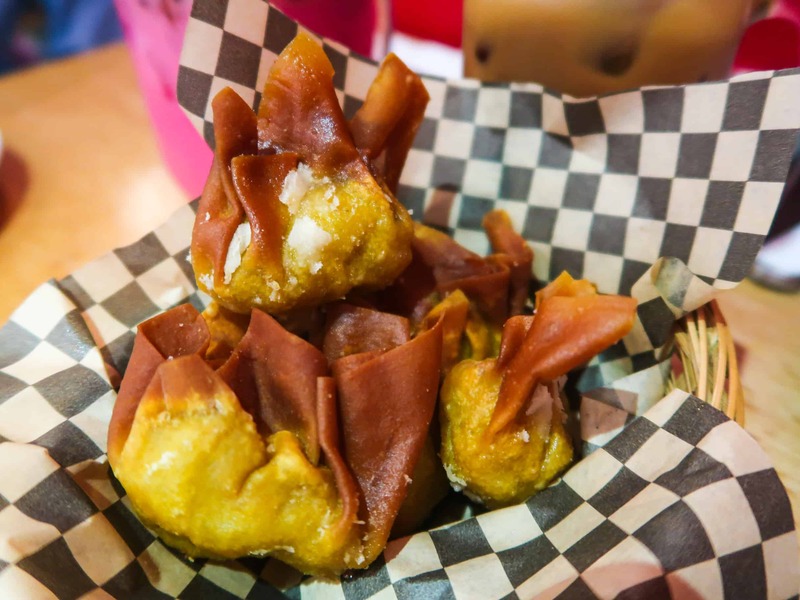 Crispy fried parcels stuffed with minced chicken, prawns, and vegetables. These were quite average and I would have like more flavour to burst out of these. 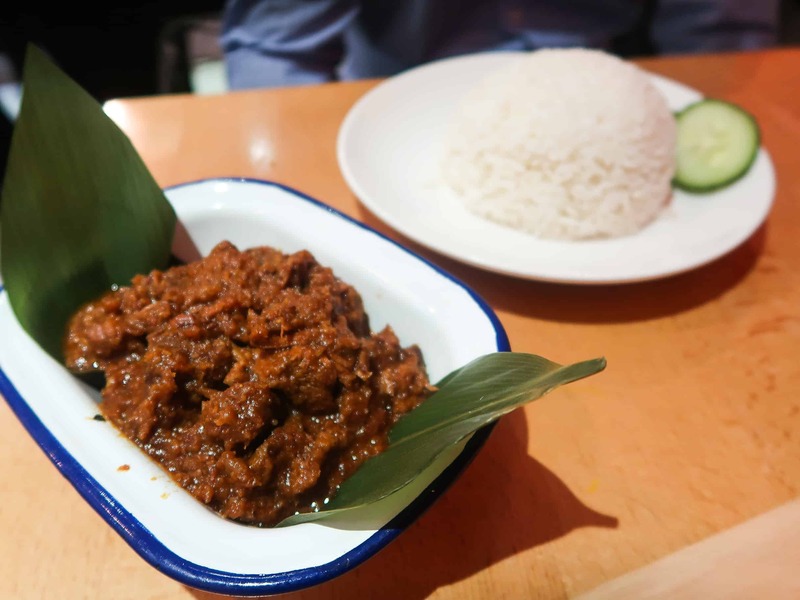 The rendang was fantastic; beef that had been simmered slowly in coconut milk and spices to make it mouth-meltingly soft. 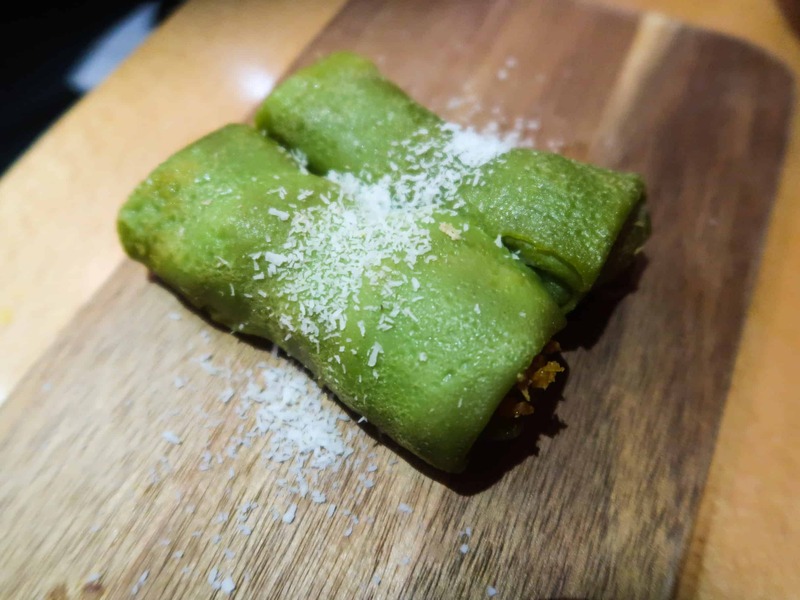 Pandan crepes filled with coconut and palm sugar. A light end to the meal but they became a little drying to the mouth and perhaps a scoop of ice cream would have finished it off nicely. One of BW’s favourite drinks – Bandung Cincau [£3.50] – shocking because it is literally a liquid dessert. 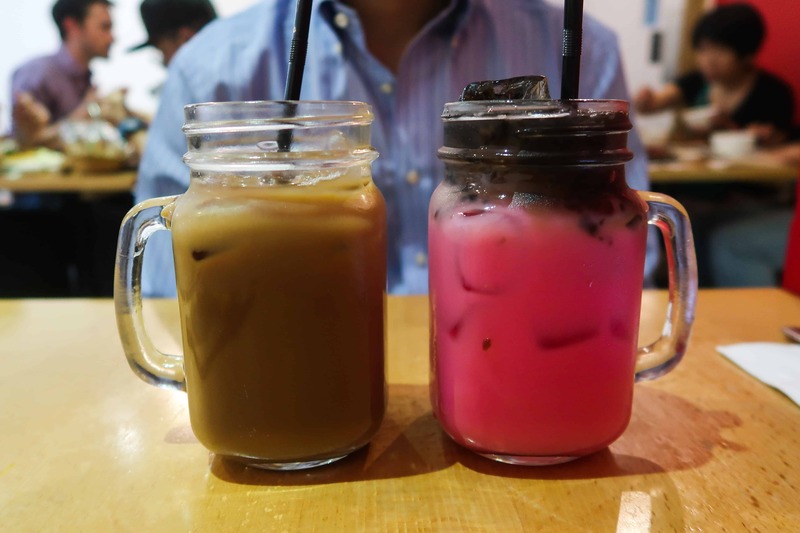 A sweet rose milk drink made with evaporated milk and topped with firm black jelly. I opted for the iced coffee – Kopi Beng [3.5] – made with condensed milk. The total bill for two people amounted to £53.40, including drinks and service, so approximately £27 each. 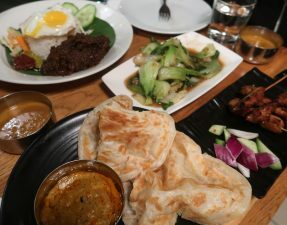 Considering you can get a meal for two for £30 if you both opt for their special set menu (and of course, if you dine without me), I think that Rasa Sayang is definitely an affordable option worth visiting. 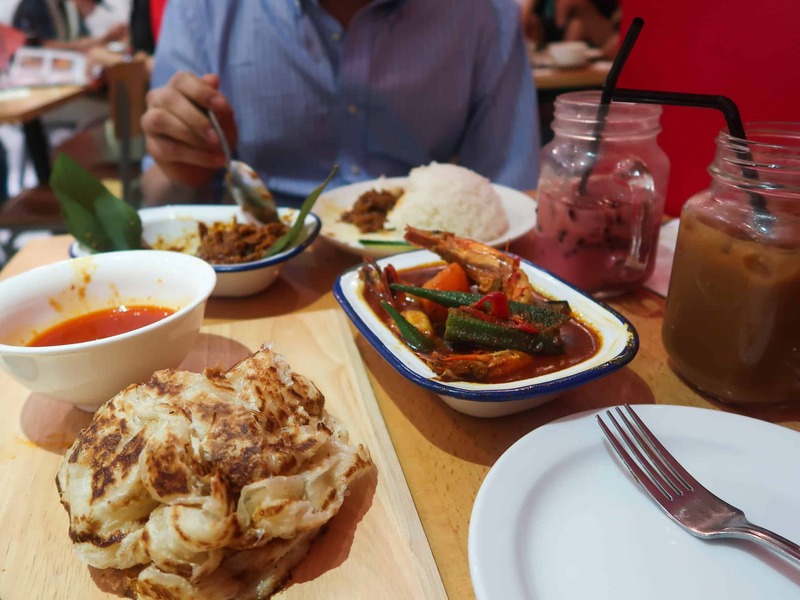 The menu is so vast and although some of the dishes were just about above average, I would happily return to try out the rest of their Malaysian classics. 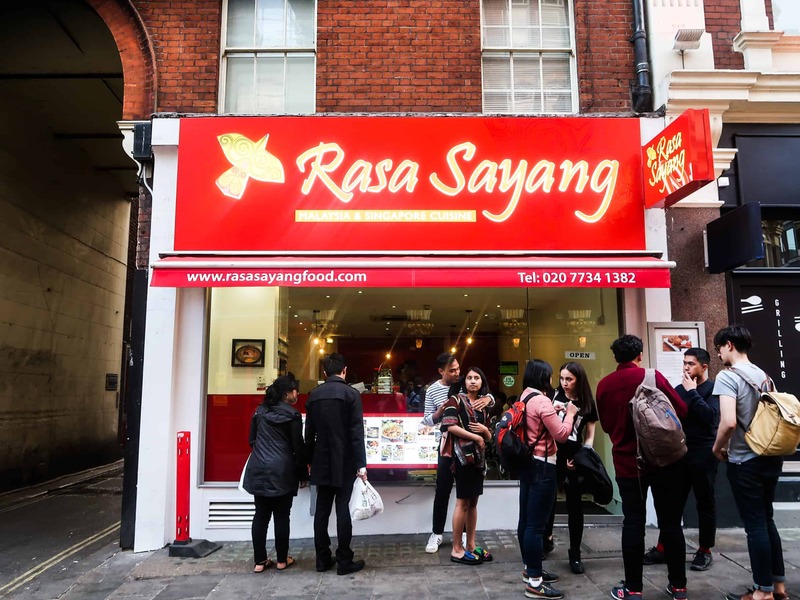 Click here for Rasa Sayang’s menu. – No pork but alcohol present.